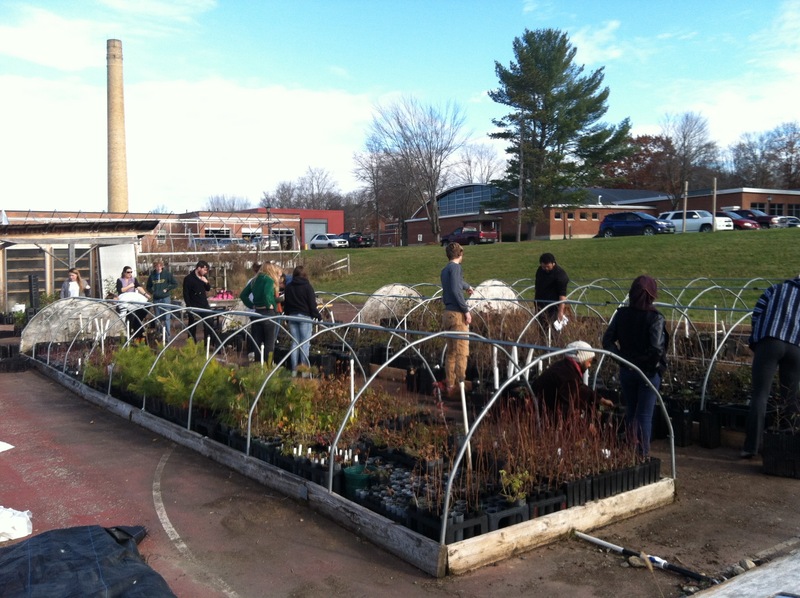 PMNRCD and Champlain Valley Native Plant Restoration Nursery (CVNPRN) wish to thank Green Mountain College for including us in the annual tradition of Thanks and Giving where students and community members come together to give/give back to those around them. 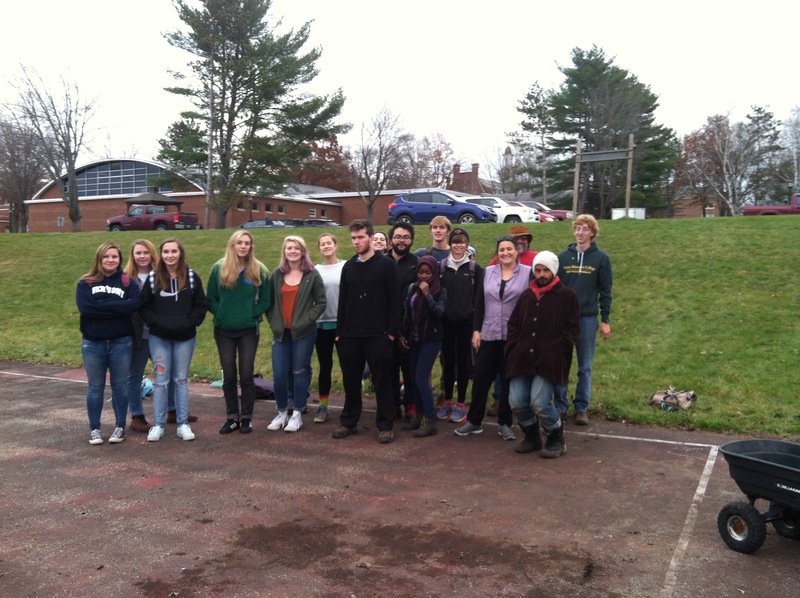 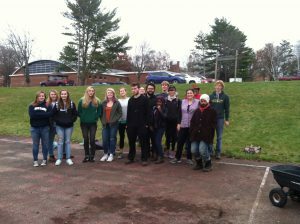 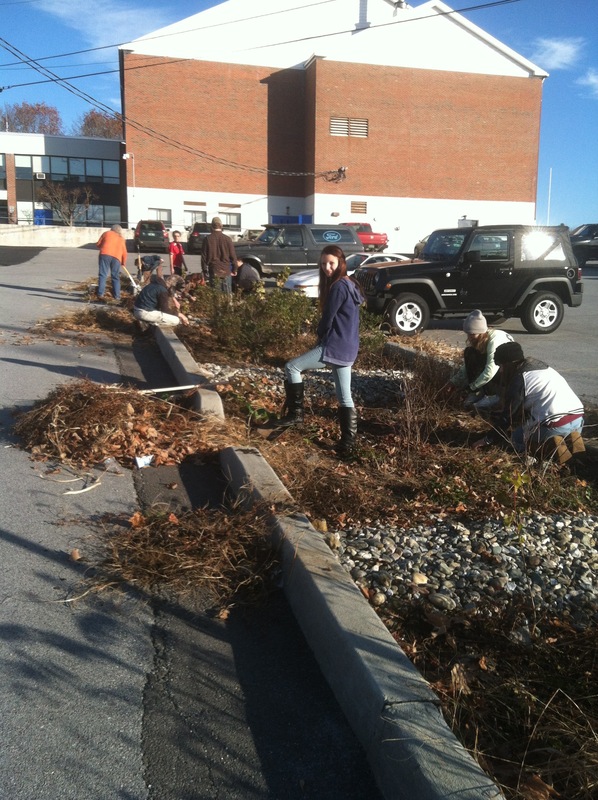 PMNRCD worked on the rain gardens at Poultney High School with Amanda Mason’s first period class. 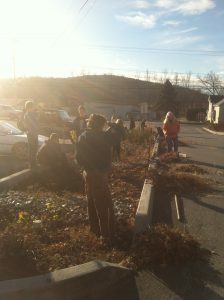 We made great progress! PMNRCD was then on to the nursery (CVNPRN) to work with Natalie Coe’s Images class, another strong group from Poultney High School, as well as other individual students who felt drawn to come down to the nursery to offer their help. With all this help we were able to get all of the plant material into the greenhouses in preparation for the covering this week. 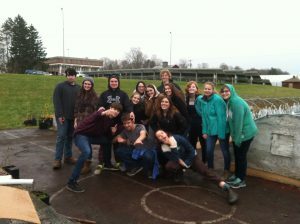 Thank you to all who helped! Your support has been exceptional! 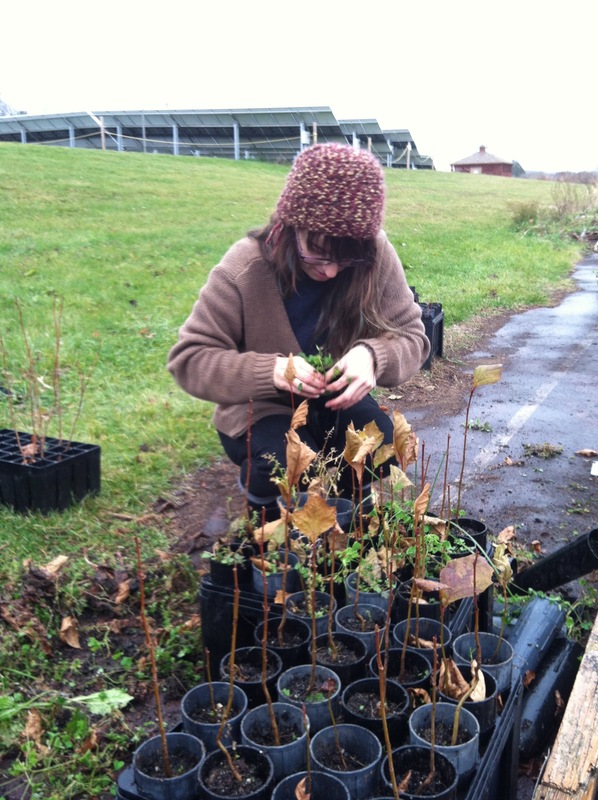 ← Volunteer Opportunities at the Nursery!